The Teutonic force runs strong with these Danish thrashers (as is evident in the very impressive Sodom cover on this EP) and while their debut album from last year lacked a bit of the hook to get me going, this EP is a massively punchy release for the band. The riffing abounds and the snarling vocals bite. 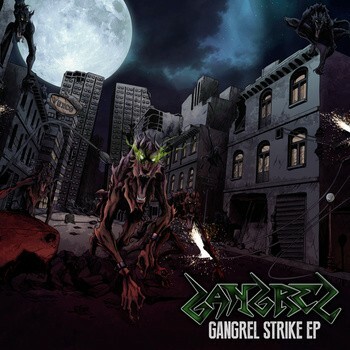 Just like the name of this EP and the dark, sinister cover art, Gangrel seemingly came out of nowhere to strike. Although the retro style of melodic leads, punky vocals, and relentless drum/riff combos might not feel fresh, this EP is an efficient thrashing machine and perhaps one of the biggest gems to come out of the genre this year. These underground fan favorites really caught my attention with their third record United We Fall in 2012. They follow it up with a continuation of that melodic and hook oriented sound on Sleeping with Evil. If there was one EP that instantly catches the ear on this list, it’s this one. Testimony’s first EP was something of an ambitious, but rarely cohesive release. For their follow up EP The Beast that Prays, they rectify that issue. 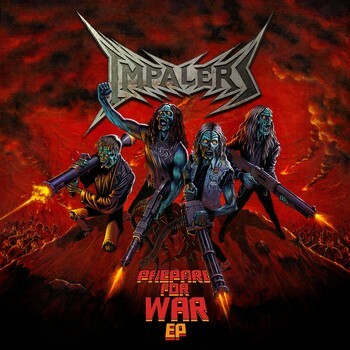 The progressive elements still pop with relative ease (including some of the best bass work in thrash this year) and the band flows better than ever on this one in balancing the fast, vicious thrash with the progressive writing. 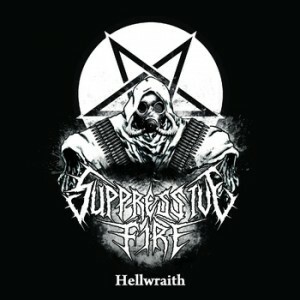 There seemed to be a plethora of blackened thrash releases in 2014 (and good ones), but Suppressive Fire boiled up from the underground – I seriously, stumbled on their Bandcamp account randomly – and really effectively blend the blackened aesthetic with the thrashing outpour of energy. This entry was posted in Editorials, Featured Review, Once and Future Thrash, Specials and tagged Bay Area Thrash Metal, Blackened Thrash Metal, featured, Gangrel, Impalers, Progressive Thrash Metal, Suppressive Fire, Testimony, The Once and Future Thrash, Thrash Metal, Unsigned Bands, Vindicator.